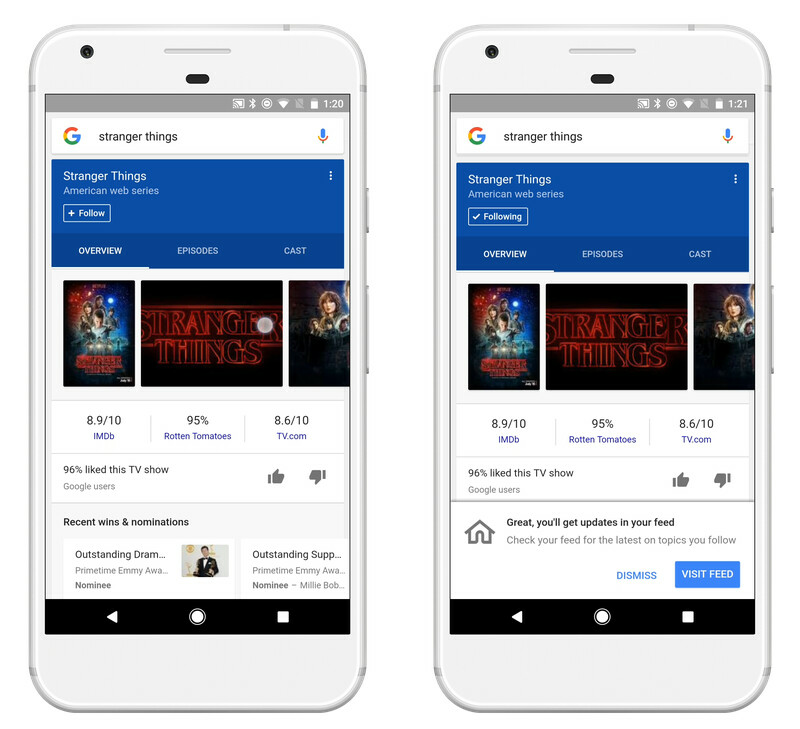 Google has just pushed an intriguing update to the main Google app on iOS and Android, which introduces an overhauled feed that will show personalized news cards and information snippets of interest to the user. A more crude variant of the so-called "Google Feed" debuted last year with weather, news, and sports info, but the new entrant is turning the dial to 11 by introducing a way more personal feed that will only cater to your interests. Powered by machine learning, it will shape itself around you and your interests, filtering out the wheat from the chaff and only providing you with relevant information at any time. "This feed is really about your interests ... It's not really about what your friends are interested in," said Ben Gnomes, Google's VP of engineering. As you might have guessed, this sets it apart from other news feeds (like Facebook's one) that put the emphasis on your friends and not yourself in particular. The best part about the feed is that it wants to provide you with different points of view regarding your subjects of interest. As we have to take the good with the bad, so will the Google app provide you with the points of view of different sources, which may often contradict with one another. All the good, this will let you make up your own mind on the matter. Aside from that, the feed makes it easy to dive deep and get a broader range of information about just about any search you have shown interest in. The rabbit hole is deep, but Google says the basic and most essential info about any topic will remain pinned as a brief snippet card at the very top of the feed. The new Google Feed alongside the new Follow button are rolling out now to Android and iOS devices in the US. They will be hitting other countries in the coming days and weeks. At the moment, Google has no plans of implementing ads in the new feed, but such a possibility shouldn't be ruled out.